Definitely my underwater camera. I just used it earlier this month as I was floating down a river in Montana. My first piece of technology was a Macintosh in 1989. There wasn’t any internet; it was just connected to a printer. All I could do on it was write my assignments for school. Two answers: My joking answer is the mute button on my speaker phone. My serious answer is G-chat because you can multi-task and talk to three people at once. Easy, that’s Salesforce. Amidst the noise in the office, I can take a look at our customers inside Salesforce and figure out how to move and deepen relationships. If businesses just focused on customers and ignored 80% of everything else, they would succeed. I was always a fan of the small iPod shuffle that I could just clip onto my clothes and go for a run. There’s no reason to bring your big iPhone with you when that’s the same distraction you’re trying to avoid during that time. I myself have a pretty advanced system in my Tesla. I can look at a document while I’m on the road and stay productive. I think that everyone should learn about staying productive while they’re mobile, whether they’re flying, driving or walking. That’s where we’re going - from working away from our desks and across corporate campuses, you need to be able to work from anywhere. Probably that I am against email and texting. I much rather prefer technology or any mode of communication that is human in nature. If I can see someone’s face, hear the tone in their voice, watch their expression change, that saves us from making communication errors or bad assumptions. 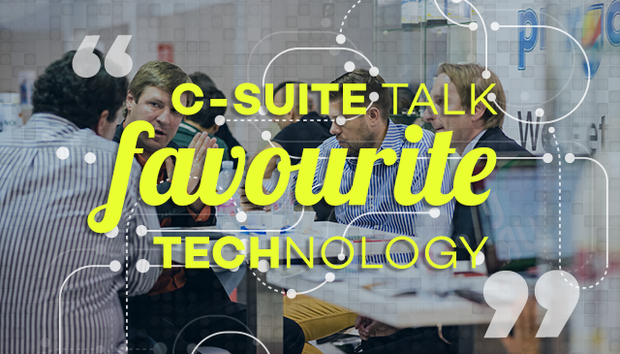 Any technology that still has the human touch keeps us productive, creative and friendly.